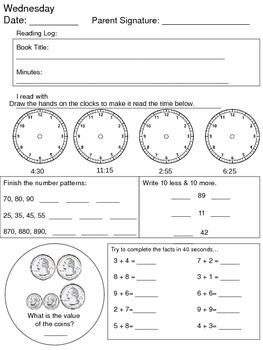 This 3 day review packet includes a daily reading log, time, number patterns, 10 less & 10 more, money and addition facts. 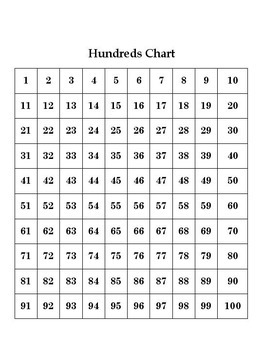 I also included a hundreds chart to help! 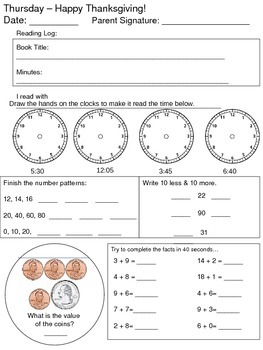 I am also uploading it as PowerPoint file instead of PDF so you can make changes as you wish (can't beat that for $1.50)! 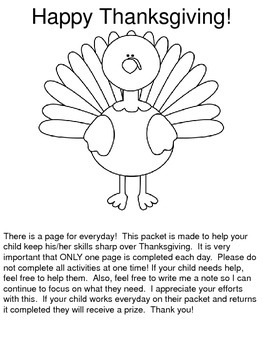 You can also use this as a template for future reviews that you want to create :) If you do not want to use this for Thanksgiving delete the days and remove the cover sheet to use it as a review whenever you want. I have had great success with sending packets home...I hope you do too!